The Air Liquide Center - Zero/Six Consulting, LLC. Industrial gas manufacturer, Air Liquide, moved its U.S. corporate headquarters from the Houston Galleria to a two-building, 597,000-square-foot complex in MetroNational Corp.’s Memorial City development. 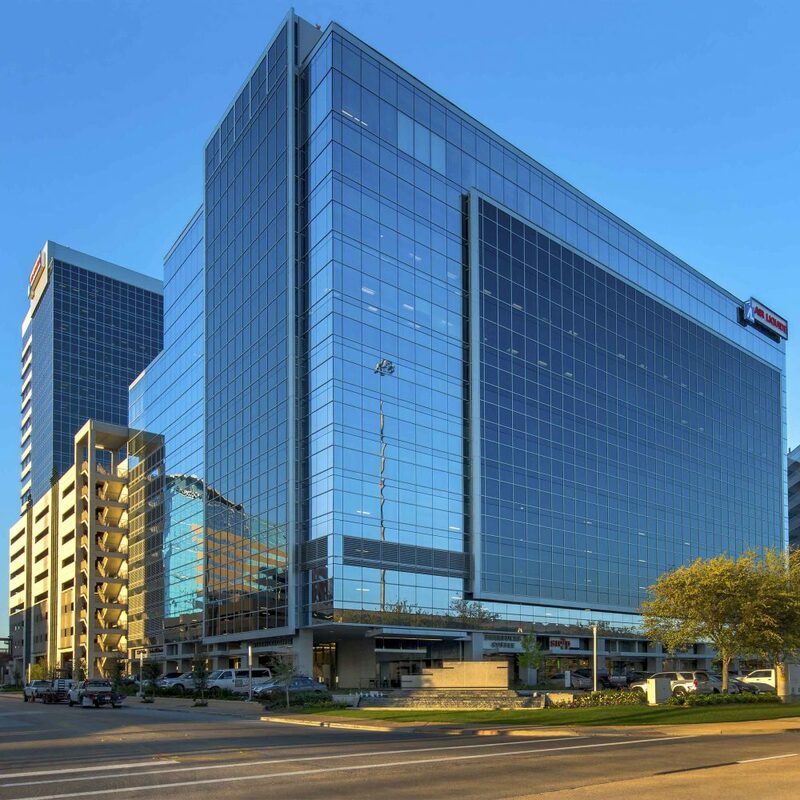 The Air Liquide Center consists of a 20-story, 452,000-square-foot high-rise and an adjacent 145,000-square-foot building at located at 9811 and 9807 Katy Freeway, respectively. 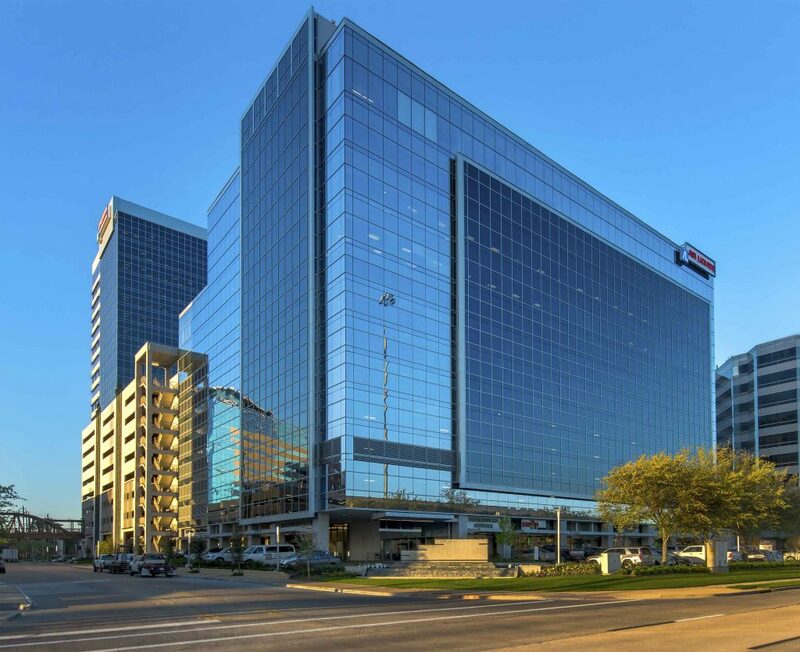 Both office buildings were constructed to LEED Silver specifications and connect to a network of skywalks providing access to the mall and other neighboring amenities within Memorial City. Zero/Six’s scope of work encompassed a variety of envelope services throughout the design, construction and commissioning phases of the Air Liquide Center project. Our team performed three rounds of drawing reviews to steer the envelope related construction drawings in a manner that worked to eliminate RFI’s and change orders. During construction, we conducted on-site quality control observations at critical envelope component installations (i.e. building sealant, roofing, curtain wall and precast installation). Then we worked alongside Z6 Commissioning during performance testing of the buildings curtain wall and roofing systems to validate compliance with project specifications and industry standards. These services proved to be key elements in providing an air and water tight facility. The project included sustainability initiatives to meet LEED Silver certifications. Zero/Six offered ideas and design strategies that supported these LEED values, with energy efficiency and protection from the outside elements in mind.